A central challenge of biology is to understand how cells operate in the presence of inevitable genetic “noise” - the cell-to-cell variation in the process of gene expression. Yale scientists have used a special interaction architecture in a gene network to understand the potential effects of noise reduction on the output of the network. 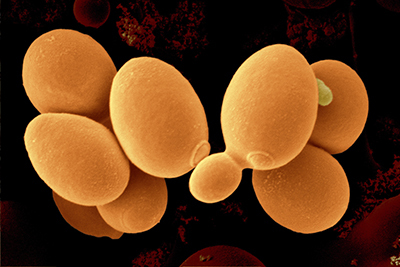 Using the yeast Saccharomyces cerevisiae as a model organism, Murat Acar and colleagues at Yale’s Systems Biology Institute compared the activity of natural and synthetic gene networks with and without the special architecture in single yeast cells. Published in the journal Nature Communications, their results show that the special interaction architecture reduced the noise in network output. These findings have implications in multiple areas of biology, including evolution, as they suggest that noise could be a selectable trait tunable by evolution.